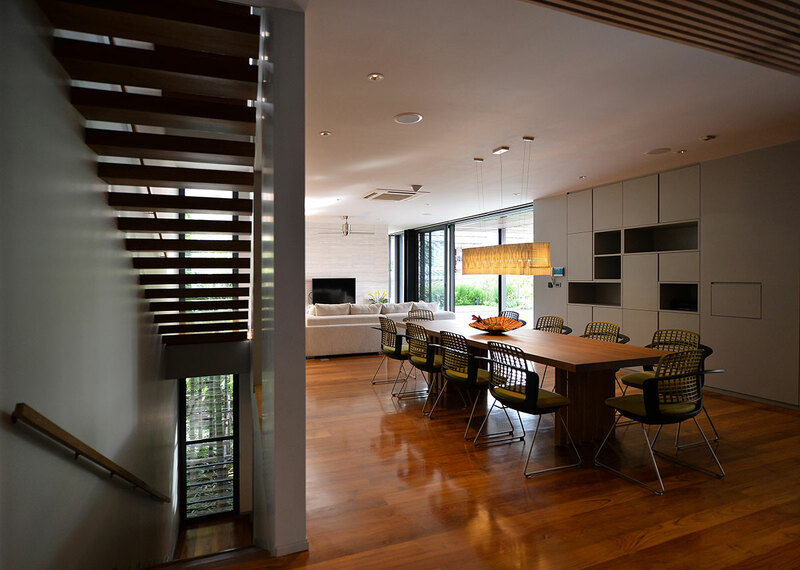 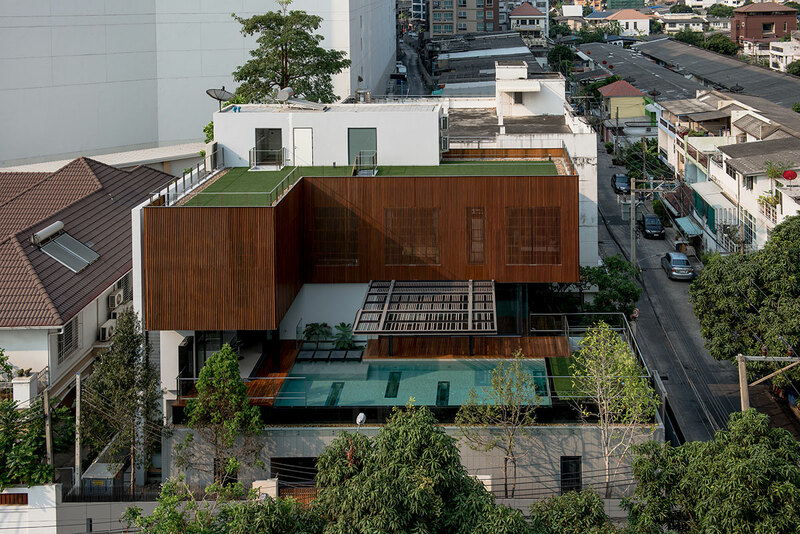 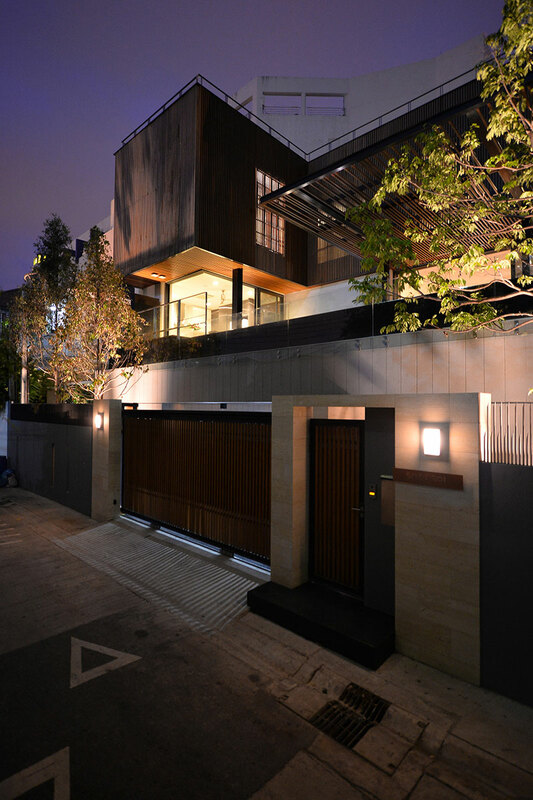 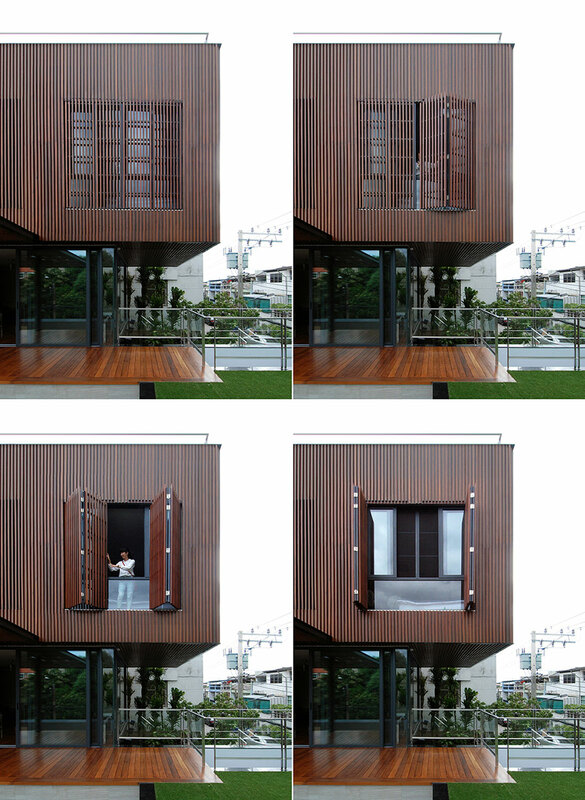 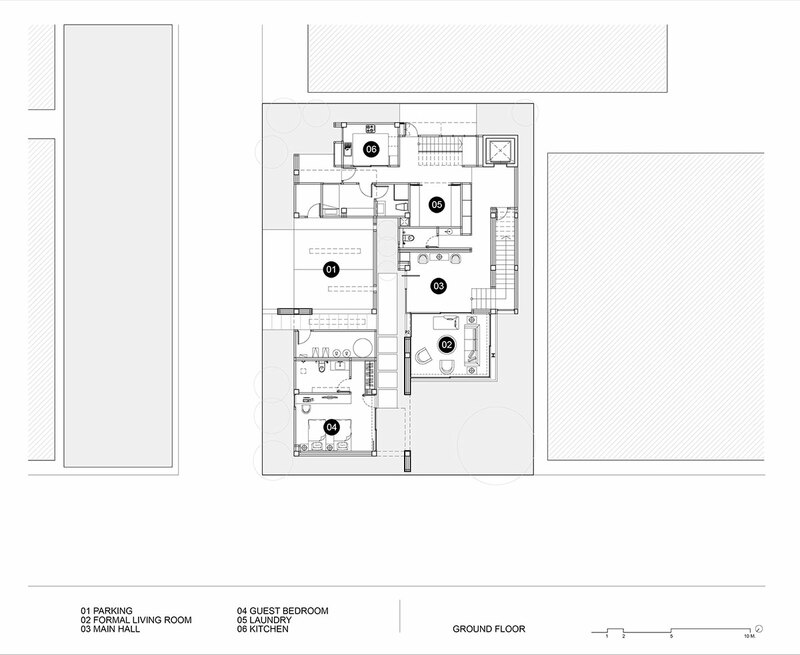 This three-story house for a family of four has a footprint of 250 square meters and a height of 11 meters. 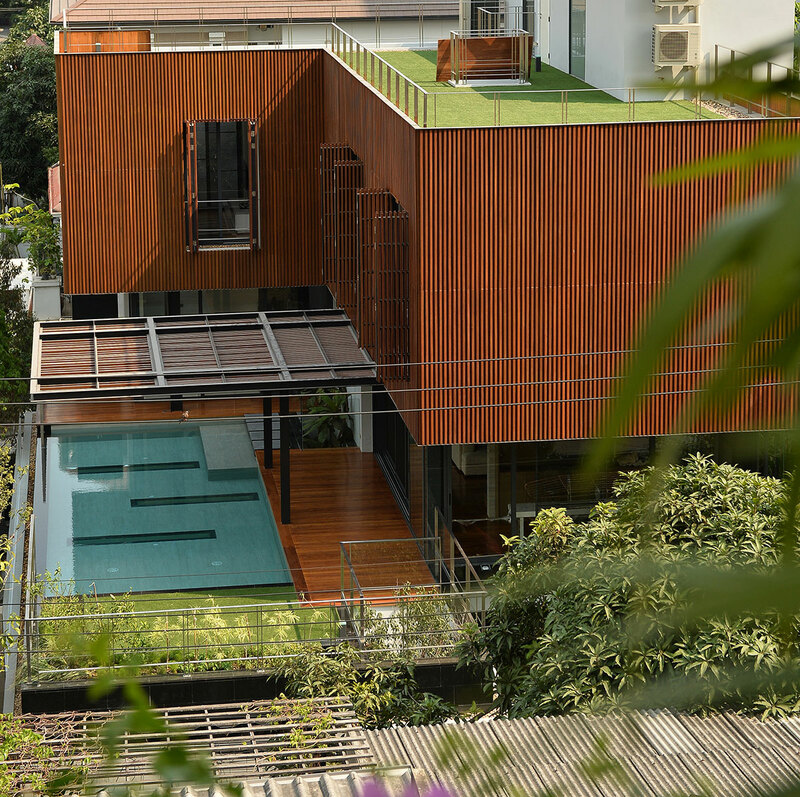 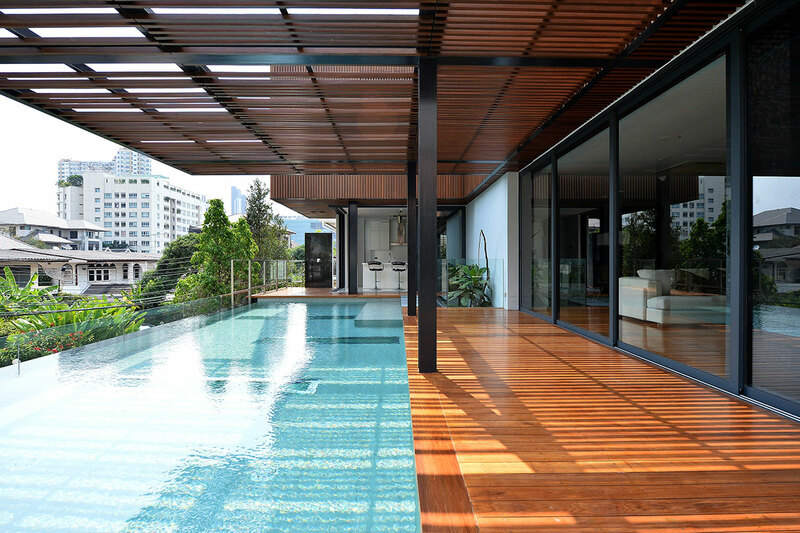 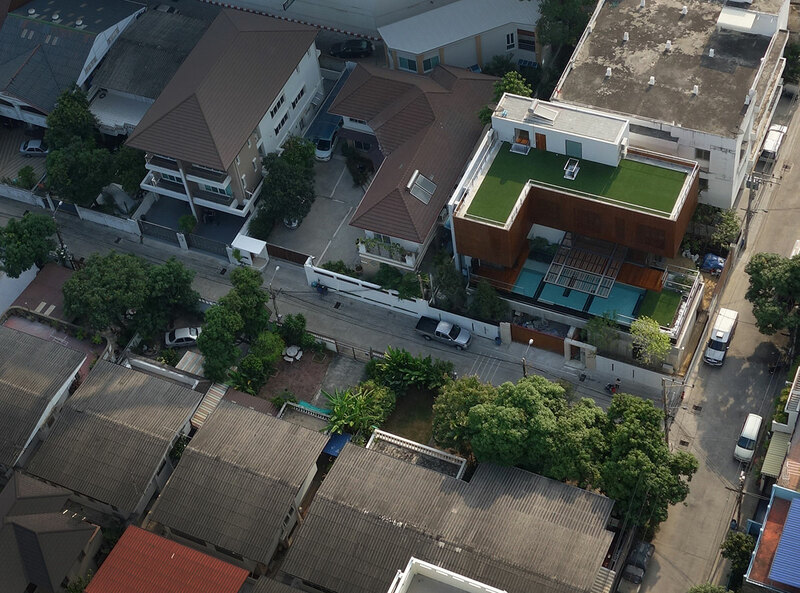 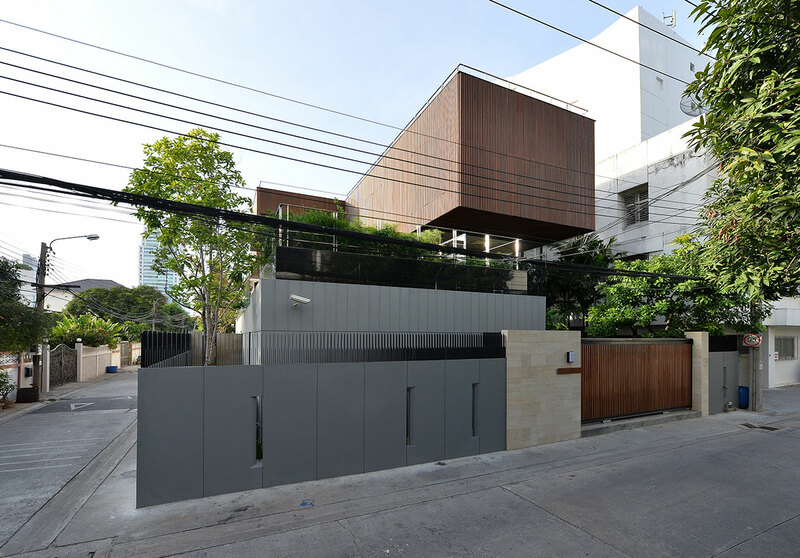 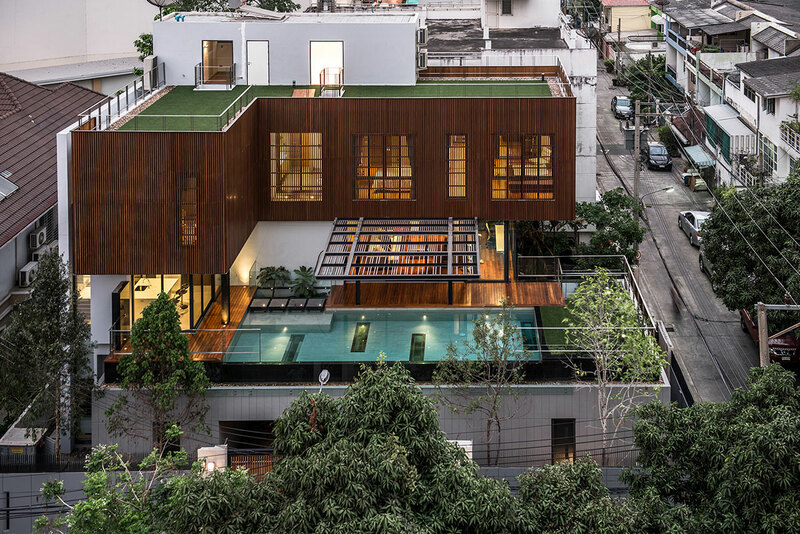 It is located on the street corner in one of the most exquisite and densely populated residential areas of Bangkok. 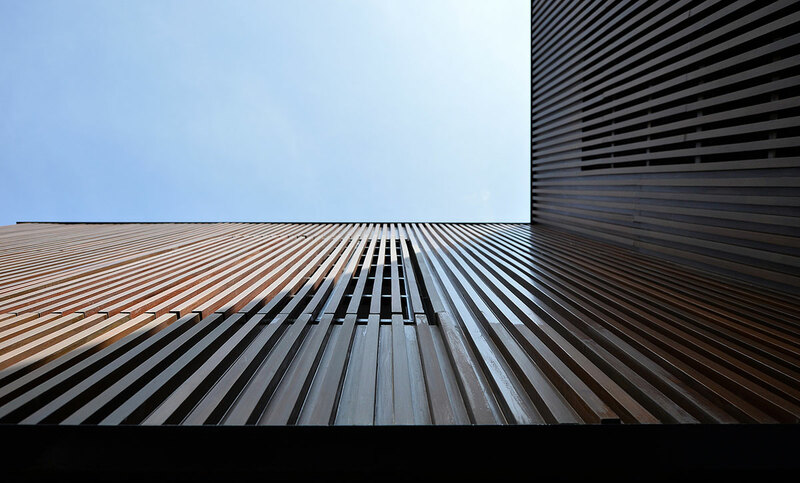 Built with reinforced concrete and a partial steel frame, the project’s exterior is comprised of wood louver panels and exposed concrete. 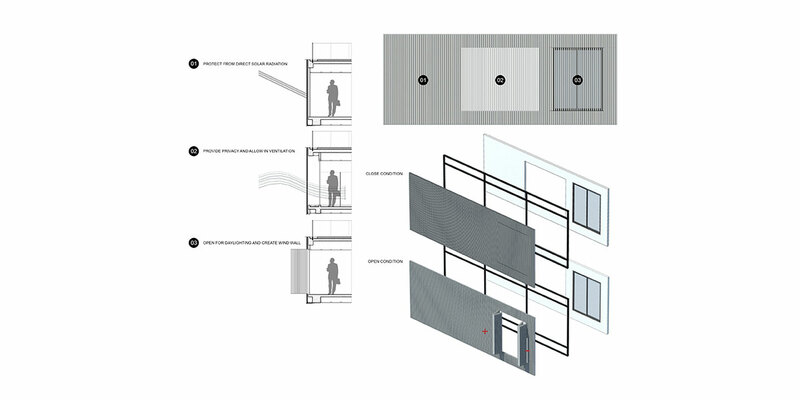 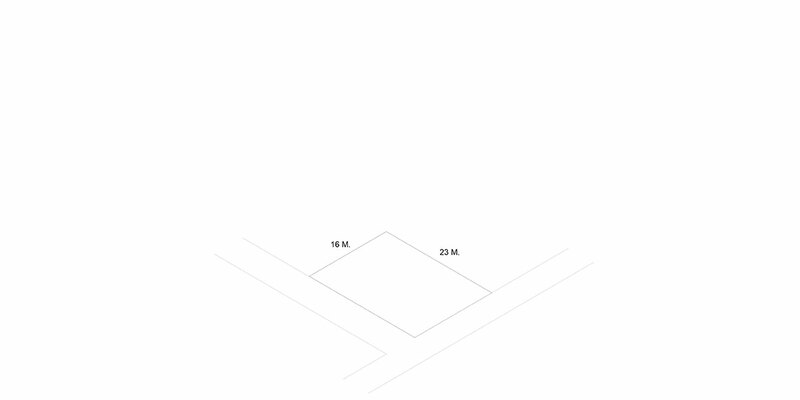 The retractable wood louvers on the third floor are designed using the analysis of the wind walls and shading device diagrams and can be adjusted for variations in the incident angle of sunlight. 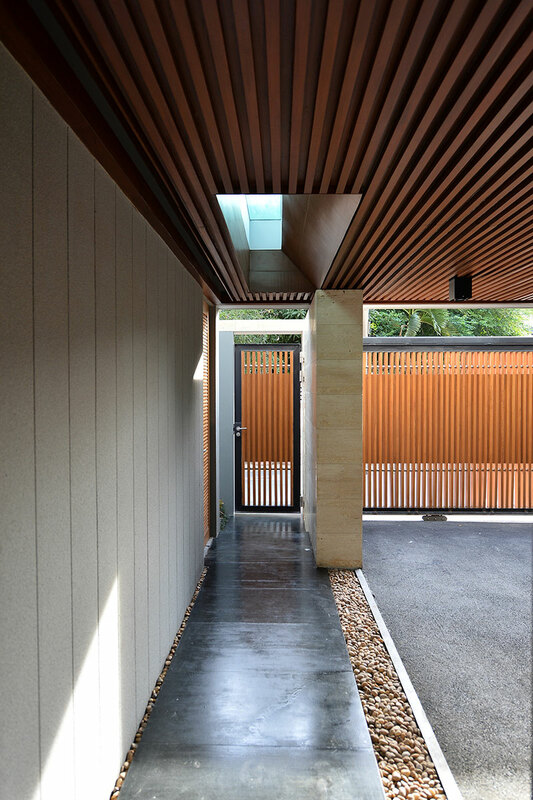 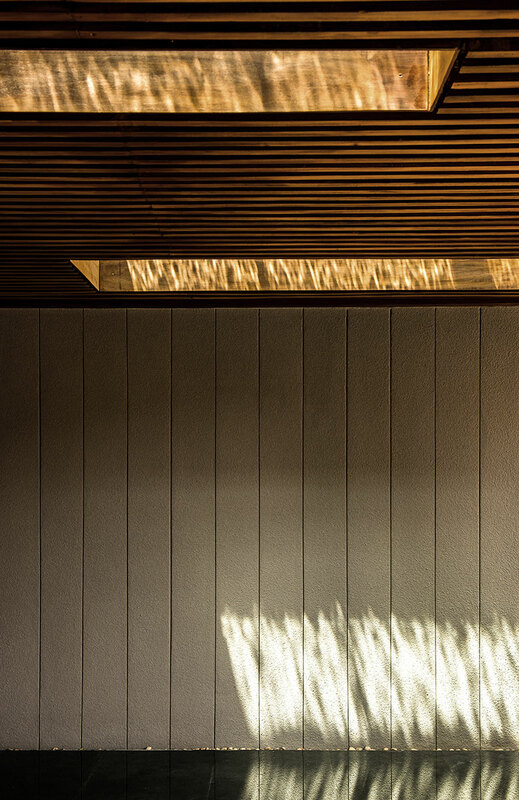 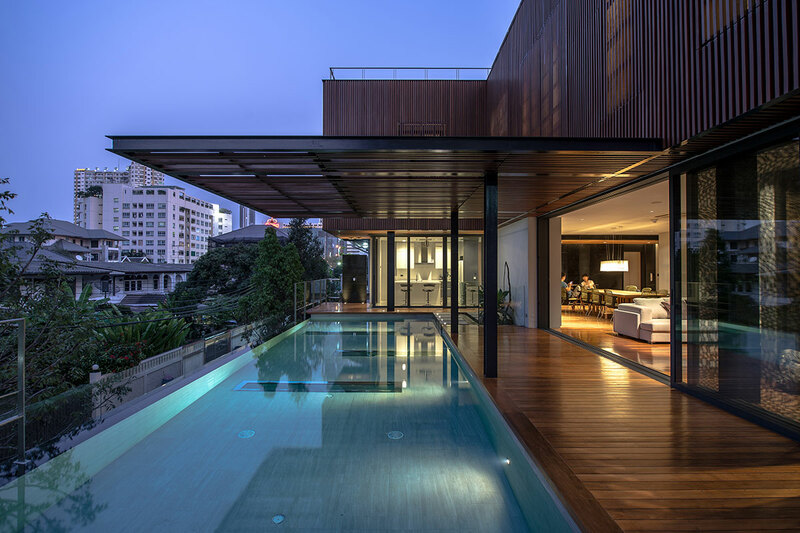 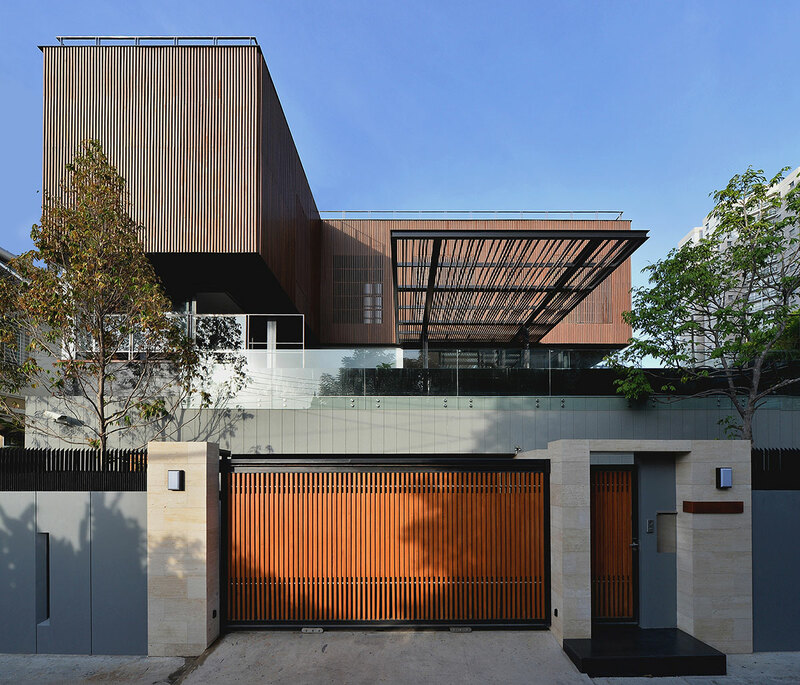 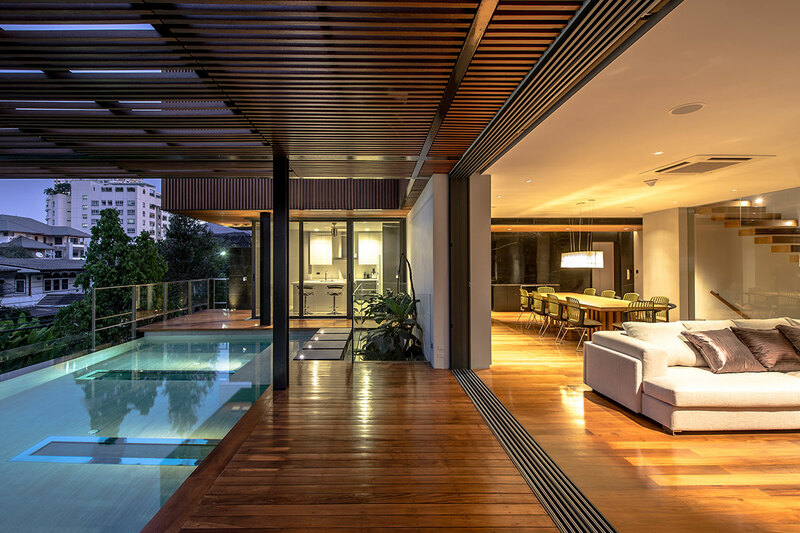 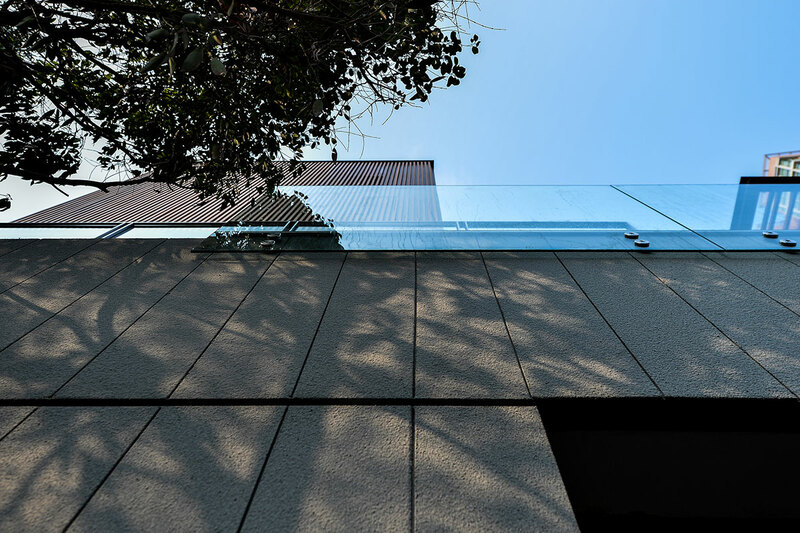 Combined with the wood louvers on the third floor, the glass louvers on the second floor surrounding the swimming pool courtyard help create an ambience of privacy for this corner house. 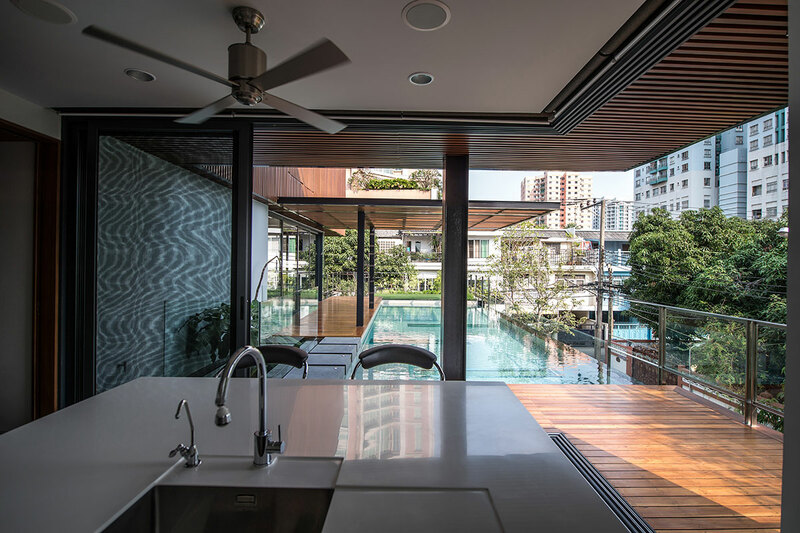 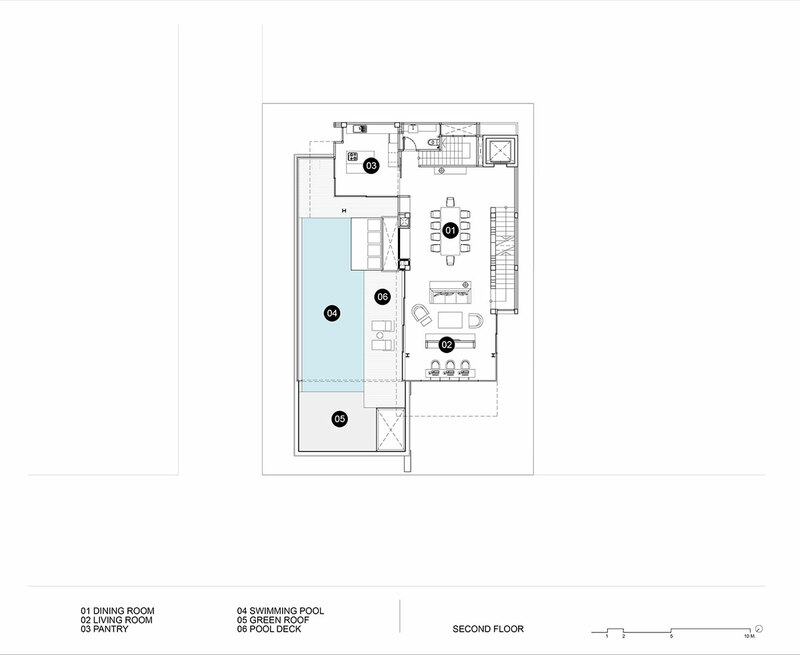 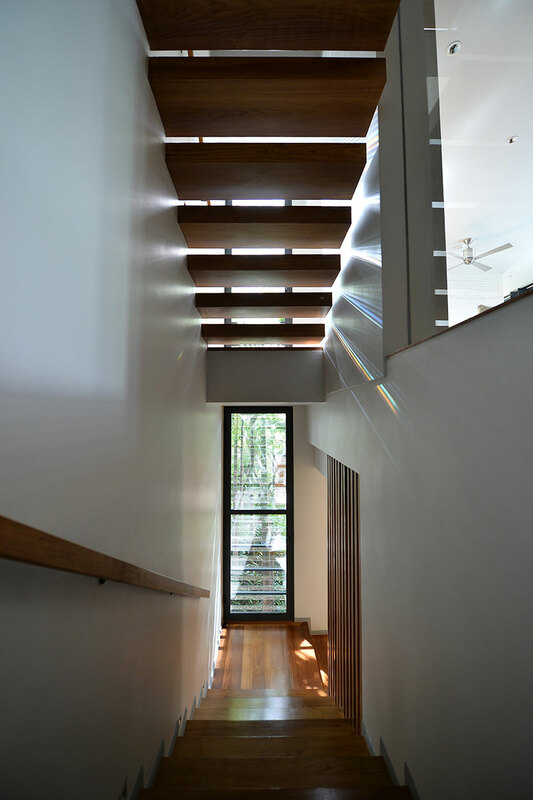 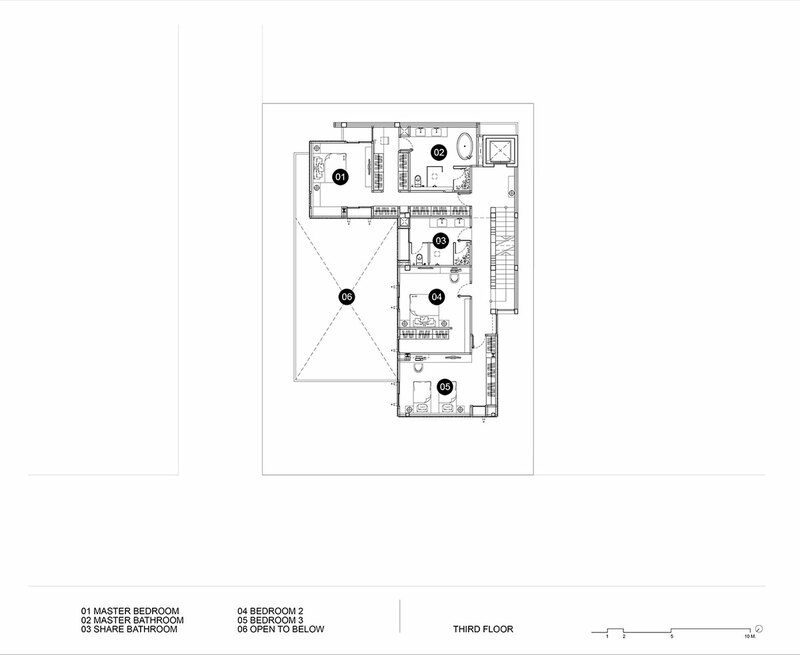 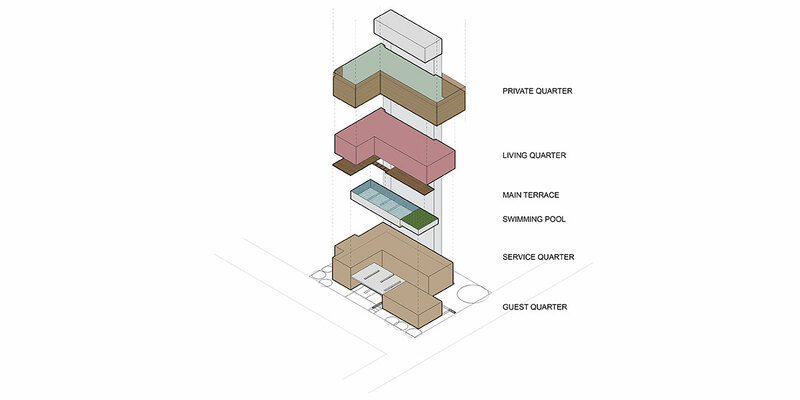 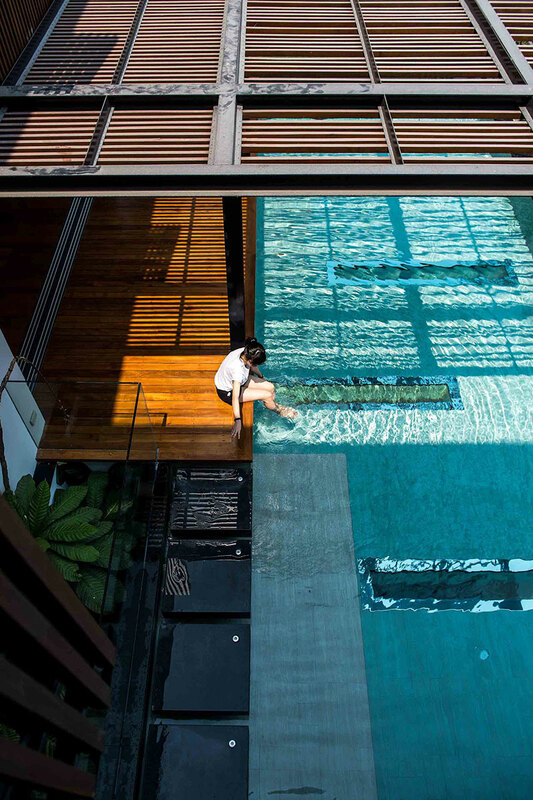 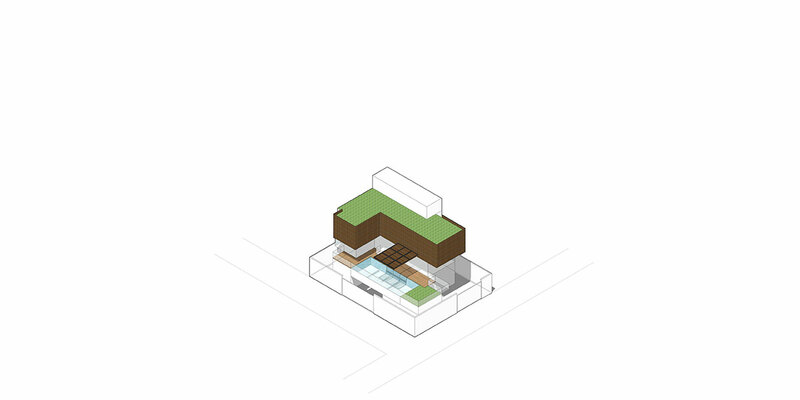 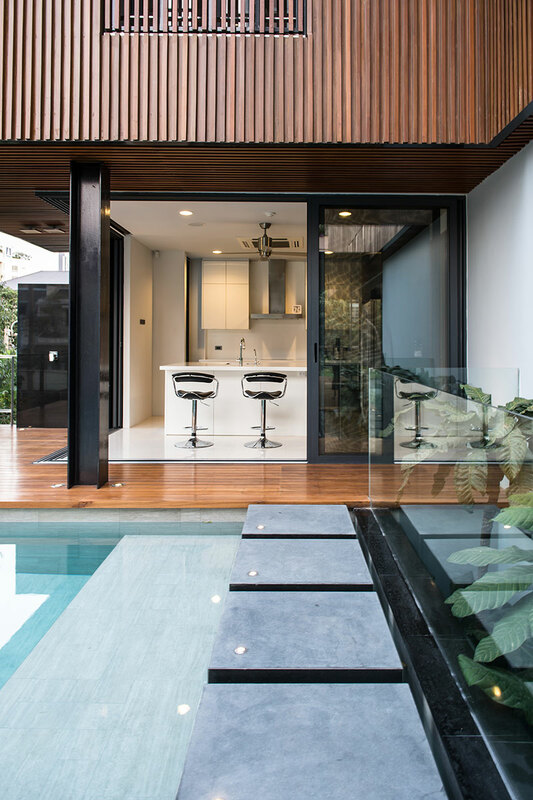 The architects employed several tactics to bring ample natural light into the fully packed functional areas: bathrooms and living spaces are exposed to small courtyards while the swimming pool on the second floor has a glass bottom to allow natural light to permeate to the entrance and parking spaces.